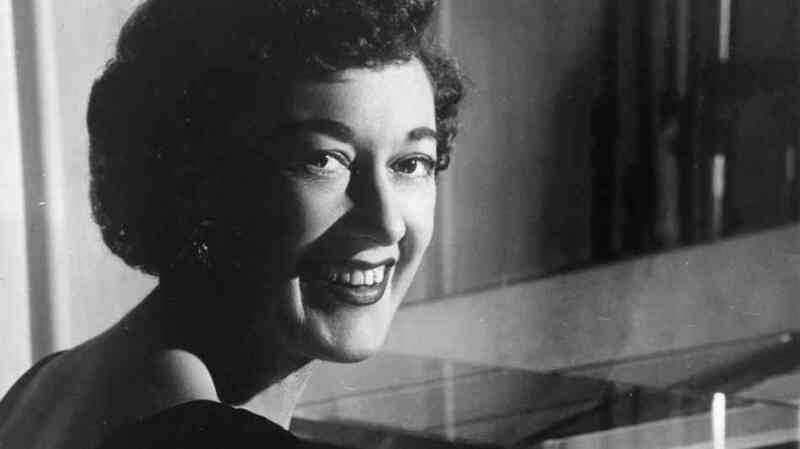 Editor’s note: Our former colleague, Matt Schudel, interviewed Marian McPartland for his jazz column here in 2000. Ms. McPartland, the host of Piano Jazz for more than 40 years, died Tuesday at her home in New York. She was 95. It’s just a number, Marian McPartland well tell you, but it’s an impressive number nonetheless. On Monday, she observed her 82nd birthday. She celebrated, if that’s the word, by going on the road and playing the piano. She is, if anything, busier than she’d like to be at this age. Which is lucky for us. For in our culture of youth, speed and instant success, it’s good to know that some things cannot be rushed, that art and understanding can grow richer with age and the passing of time. On Friday, McPartland will bring her life’s work of artistry to Fort Lauderdale as the headliner in the Gold Coast Jazz Society’s weekend festival at the Broward Center’s Amaturo Theater. During the past two decades, McPartland has become one of the most beloved figures in jazz. Since 1978, she has been the host of the popular National Public Radio program Piano Jazz, heard locally at 7:15 p.m. Fridays on WLRN-91.3 FM, and 8 p.m. Saturdays on WXEL-90.7 FM. Perhaps more important, she has blossomed in recent years into a pianist of considerable inventiveness and charm. Her playing is imbued with a sense of character that comes directly from her long years of experience. She is the living antidote to our national obsession with youth. Piano Jazz takes up one week a month, during which she tapes three or four shows. The rest of the time, McPartland is on the road, appearing in a variety of musical settings. In Fort Lauderdale, she’ll perform a solo set and will sit in with the Florida International University Jazz Band. Earlier in the week, she was part of a five-piano extravaganza in Sarasota. In the next few weeks, she’ll perform in duo piano settings, with a trio and with orchestras. “I really like to mix it up,” she says. Margaret Marian Turner was born into a proper English family and took to music at an early age. She can’t remember a time when she didn’t play piano, and she studied violin for several years as well. She left a conservatory to travel with a music-hall show in England, then began to play jazz — a bold thing for a Englishwoman to do in 1940. During World War II, she met the charismatic American cornet player Jimmy McPartland, married him and moved to Chicago. (They divorced in the 1960s but remarried shortly before his death in 1991.) In 1952, she began an eight-year residence at the Hickory House in New York City, where one of her fans was Duke Ellington.